Looking to automate your printing complete workflow? 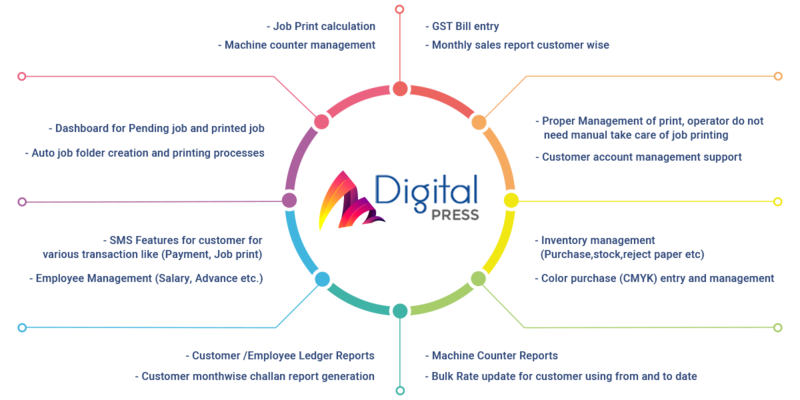 DigitalPress is the complete solution for you to manage printing jobs as well as inventory. DigitalPress harvests your printing jobs,file management, printer’s print counter, inventory with complete accounting. This software automates your printing workflow by taking the files from your printing job list and sending them to your desired printer and channel where operator can proceed. You have total control on how you want to handle your print jobs.